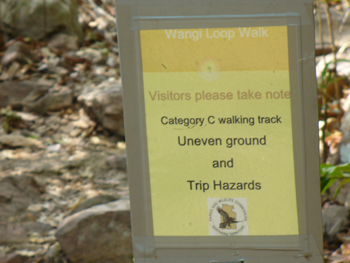 This page is best viewed on a Destop Computer. 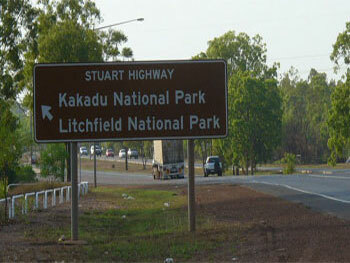 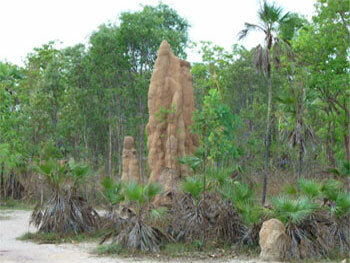 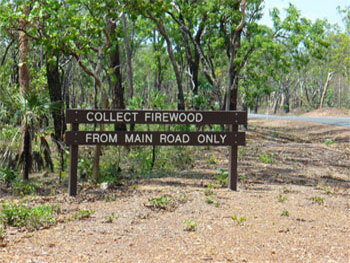 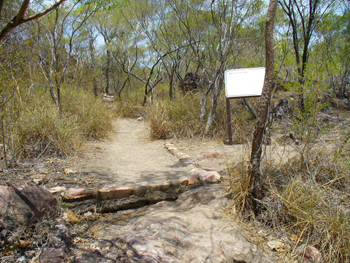 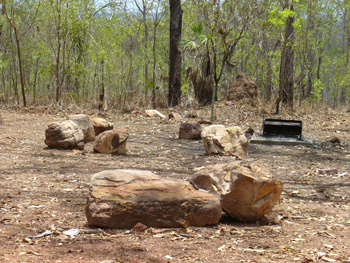 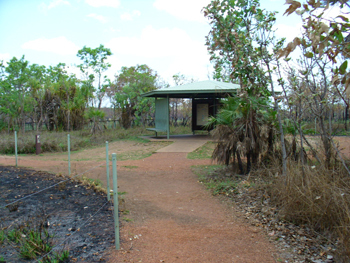 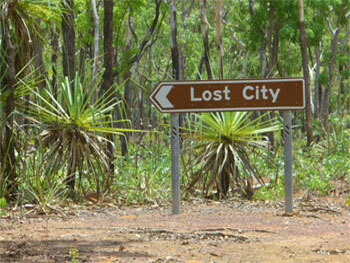 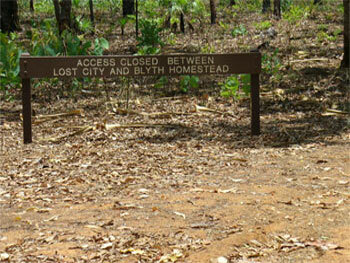 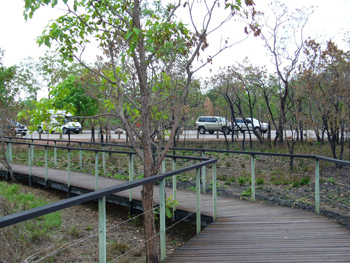 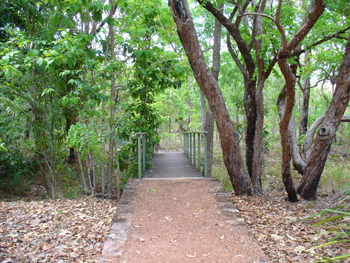 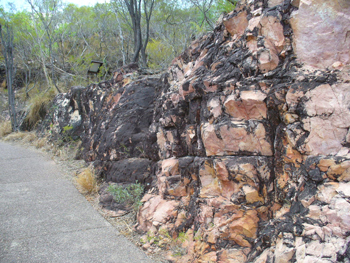 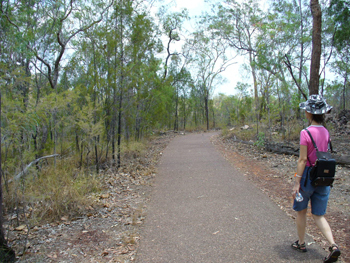 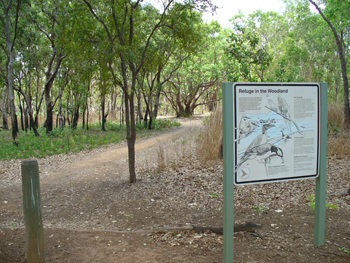 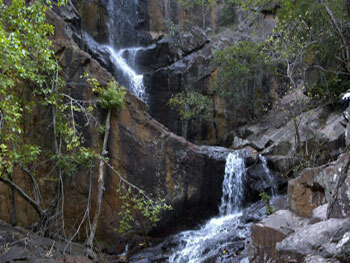 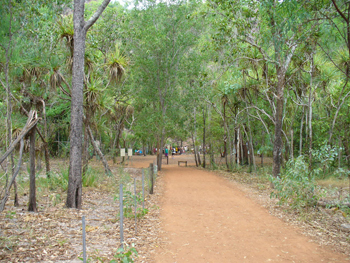 • Explorers Way is the Stuart Highway from Darwin to Adelaide. 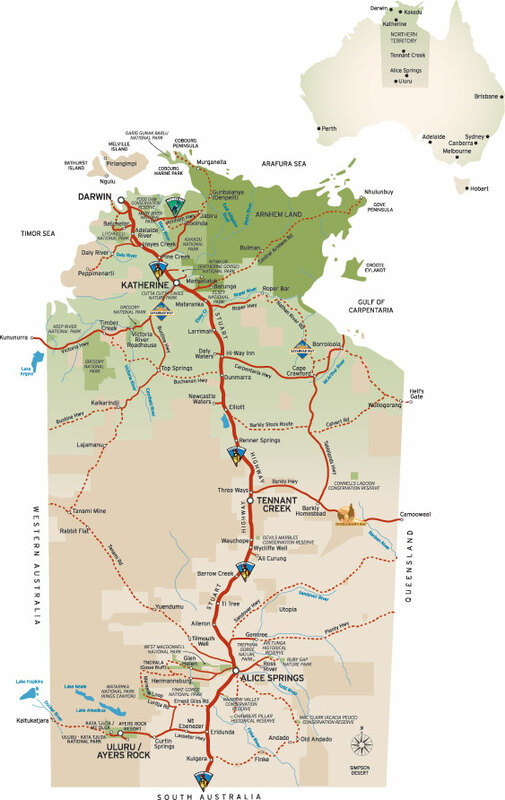 The highway, known as "the Explorer's Way" is one of Australia's major highways, running north to south through the middle of Australia. 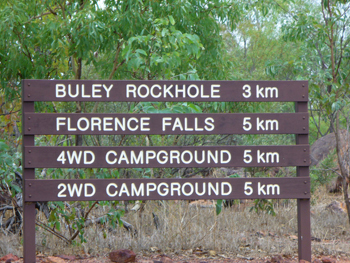 The road is 2,834 km (1,761 mi) long and links Darwin (Northern Territory) and Port Augusta (South Australia), via Tennant Creek and Alice Springs. 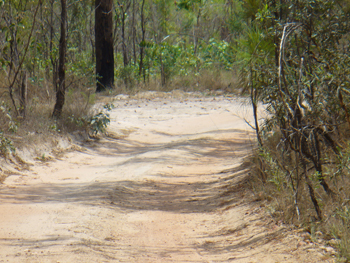 The road is asphalted. 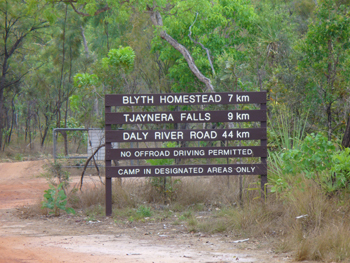 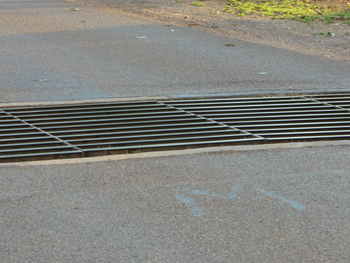 Its northern and southern extremities are segments of Australia's Highway 1. 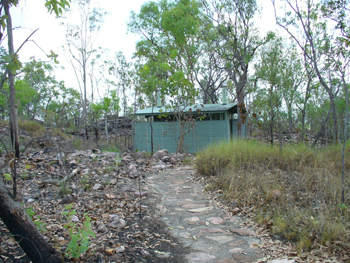 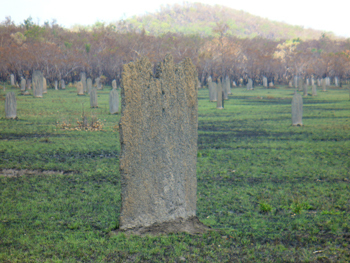 • Dry Season: About the Darwin dry season months in Darwin, Kakadu, Katherine, Katherine and the Top End. 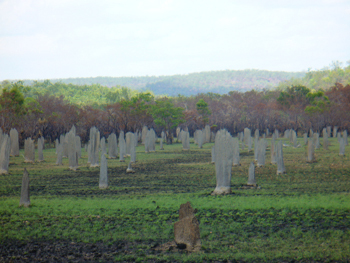 The ‘Dry’ season, from May until October, is characterised by warm, dry sunny days and cool nights. 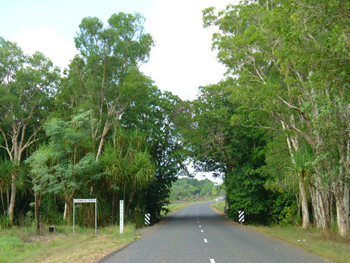 Temperatures typically range from 21C (70F) to 32C (90F), and the humidity levels are much lower: around 60–65%. 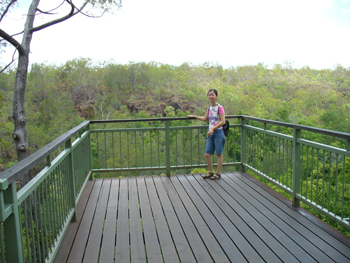 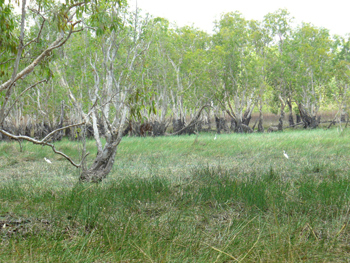 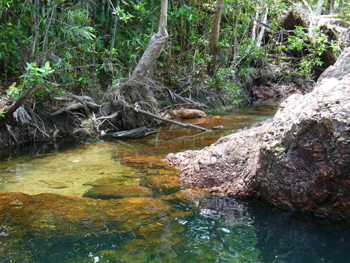 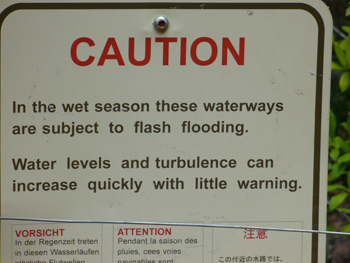 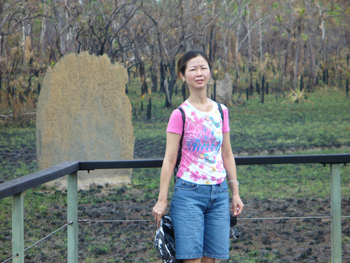 • Wet Season: About the Darwin dry season months in Darwin, Kakadu, Katherine, Katherine and the Top End. 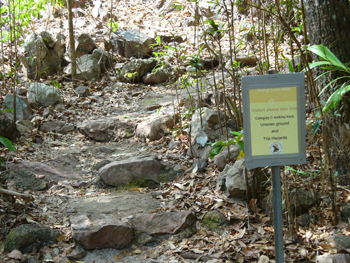 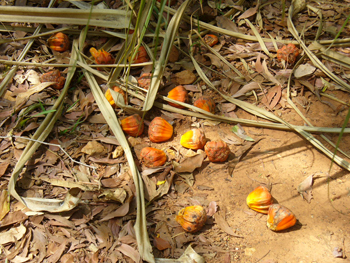 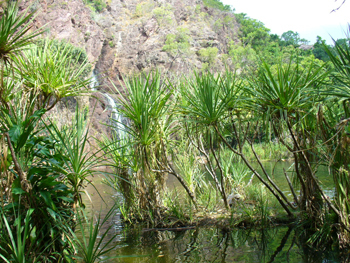 The Wet season spans from November until April and is characterised by increased humidity followed by monsoonal rains and storms. 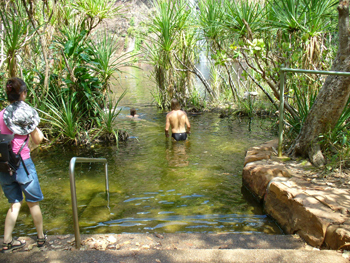 Temperatures typically range from a minimum of 25C (77F) to a maximum of 33C (91F), and humidity levels can reach in excess of 80%. 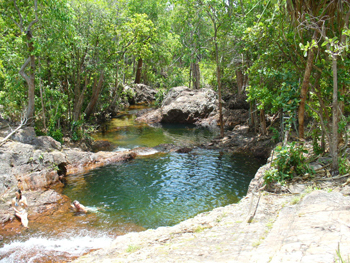 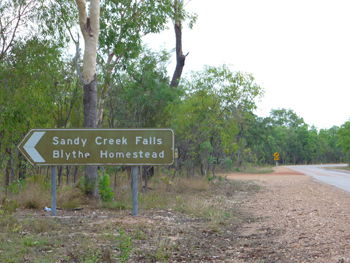 While weather conditions at this time of year can restrict travel to some areas, the Wet season is a stunning time to see the Top End. 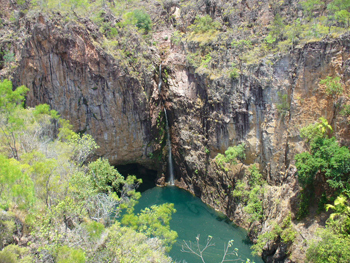 Waterfalls tumble, skies host incredible light shows, and the landscape turns a lush green. 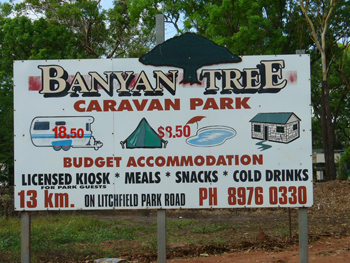 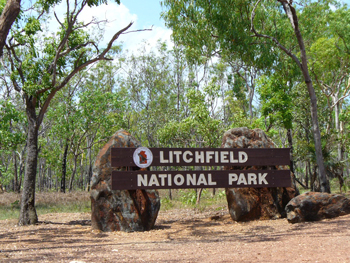 A 2wd motorhome road trip in Litchfield: Let's explain Kakadu even further: Say you have a 2wd large 6 berth motorhome rental, so what can you see and visit in Litchfield with the family. 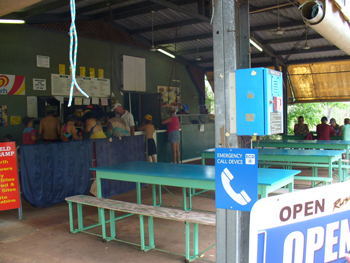 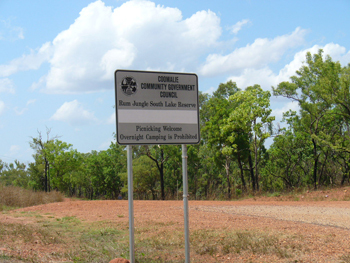 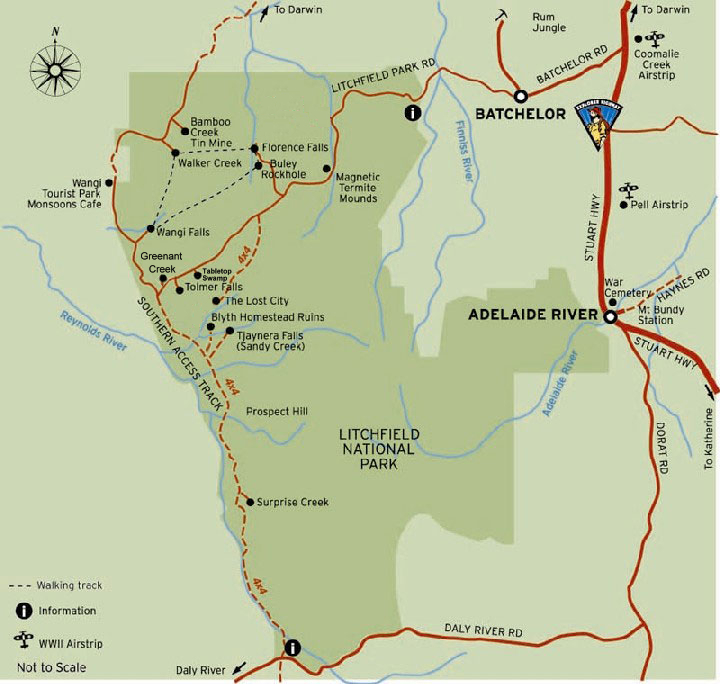 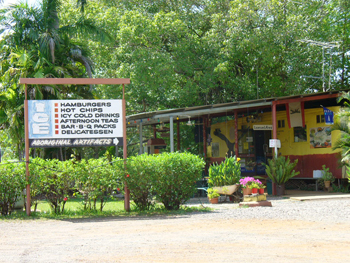 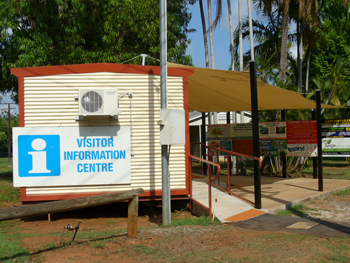 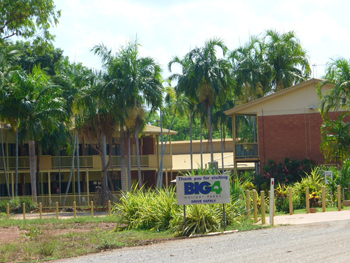 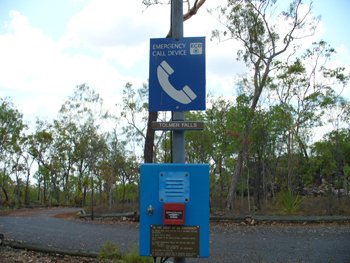 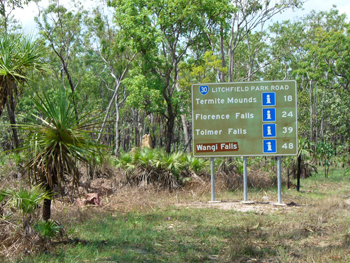 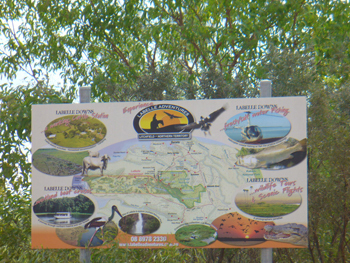 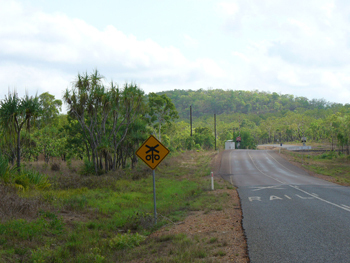 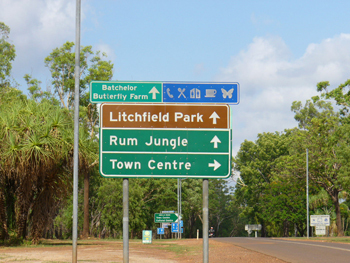 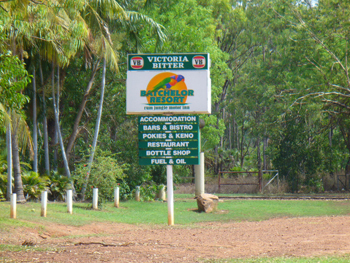 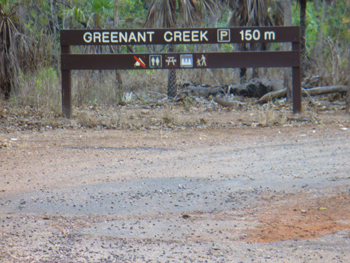 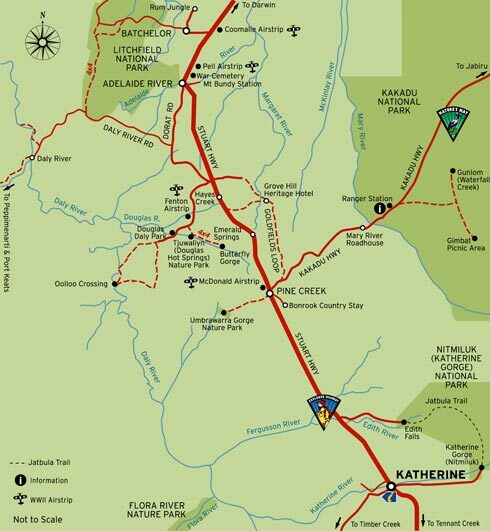 • Head out on the Stuart Highway from Darwin and let's say 90 klm from Darwin you see Litchfield National Park turn off access road on the right and once on that turnoff road go 20 klm in you come upon a rather sprawling town the gateway to Litchfield called Batchelor. 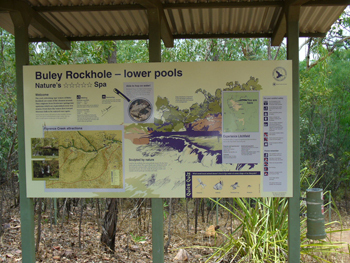 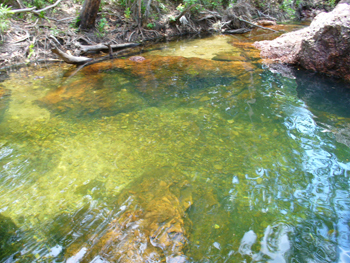 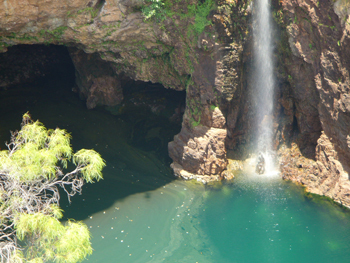 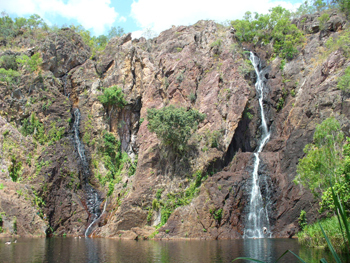 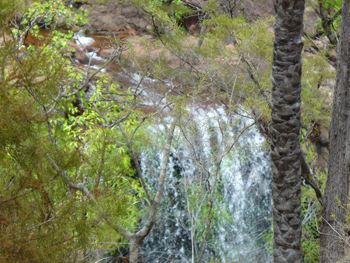 • Tolmer Falls, Wangi Falls, Lower Casades, Buley ROckholes and Florence Falls are Springs feed falls so there always from what we see water in them or flowing. 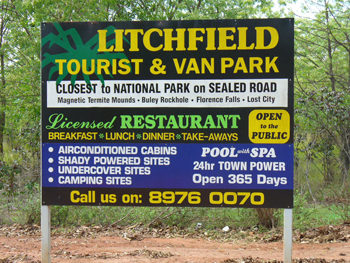 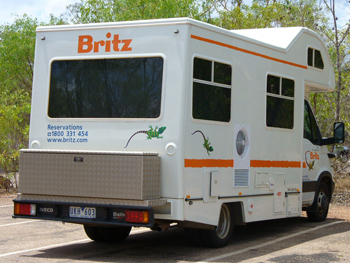 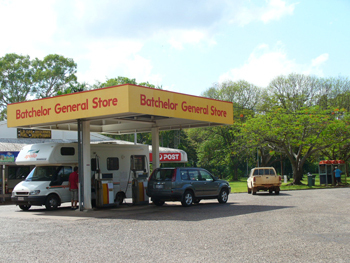 • Litchfield and Katherine Road Trip Fast Facts:A 300km a day allowance from Maui, Britz and Apollo motorhome hire should be plenty; as to date as not one of our customers to date has ever given feed back they had to pay excess. 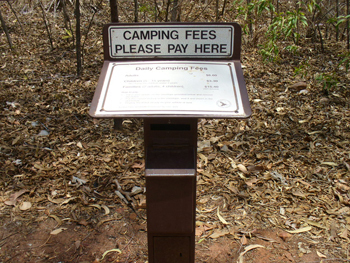 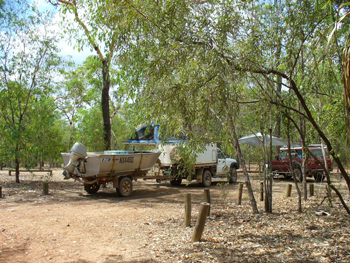 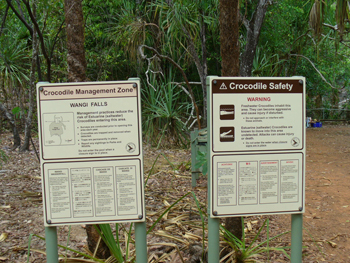 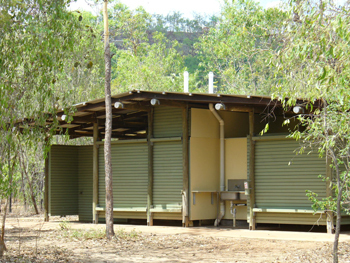 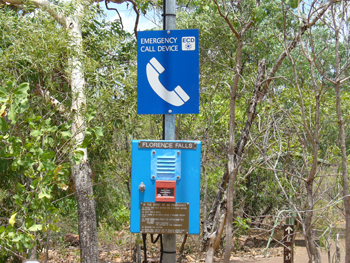 •What To Bring On A Kakadu Road Trip: We have listed here a few suggestions based on our own 4wd Kakadu trip and our travelled customers feedback. 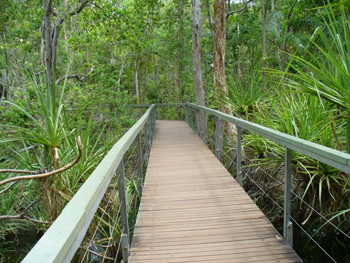 Our photo gallery photos are all 350 pixels though there are many and best viewed from a desktop computer and may take a moment longer to view but definatley worth the wait our customers tell us.